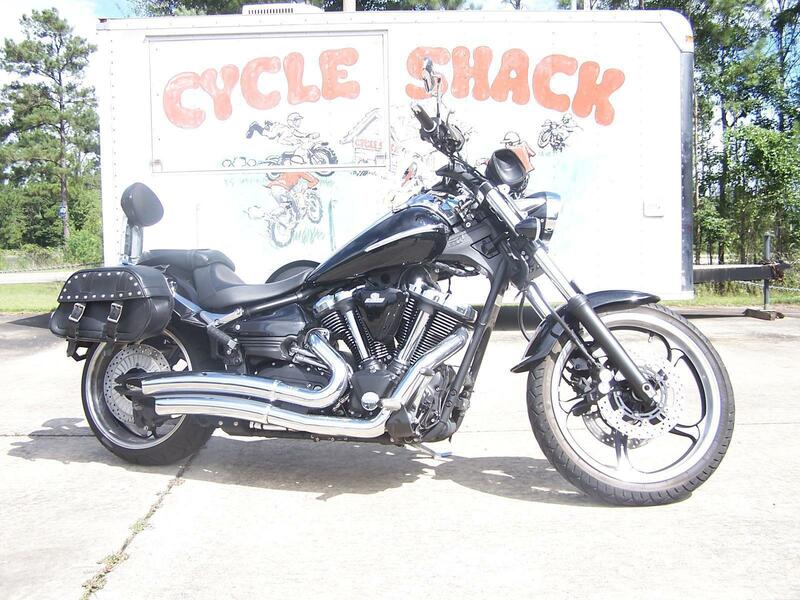 Here is a perfect 2009 Raven Yamaha Raider with less than 8,000 miles! 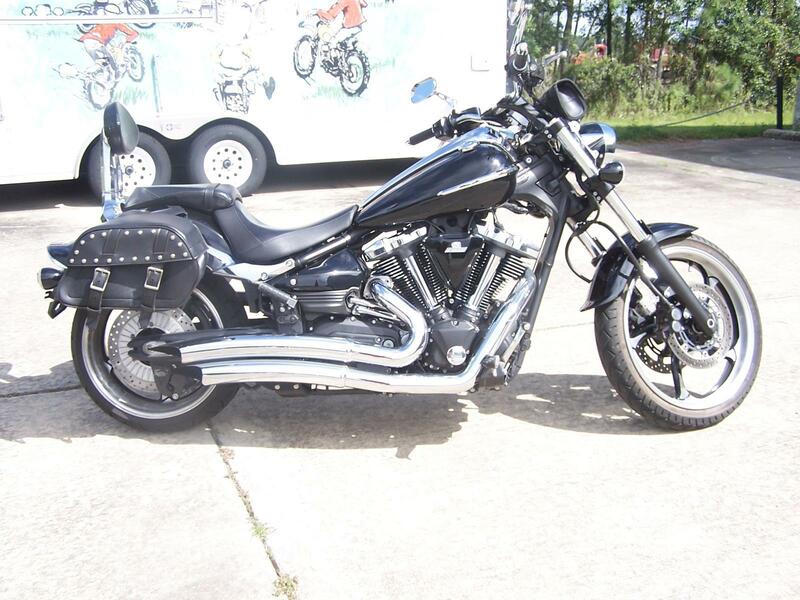 Comes with Vance & Hines Big Radius Exhaust, Removeable Backrest, Saddlebags, and more! Also has a new rear tire and a fresh service. CYCLE SHACK PRICE: $9,995! BIKE IS USED AND DOES NOT COME WITH FACTORY WARRANTY. CYCLE WORLD'S "BEST CRUISER", RIDERS "BEST OF CLASS". The Raider was inspired by the custom chopper movement, but since it's a Star, it had to also handle, stop and go. With the addition of this machine, the Star line offers the most diverse line of custom V-twins on the planet. The Raider achieves fuel economy up to an estimated 42 mpg with a fuel tank that holds 4.2 gallons of gas. 113-cubic-inch (1854cc) air-cooled, pushrod 48-degree V-twin pumps out max torque at just 2500 rpm and max power at 4500 rpm for powerful, relaxed cruising. Plated cylinders and forged pistons cooled by oil jets provide outstanding reliability and long life. Twin counterbalancers keep things smooth but rumbly. A 3.5-liter airbox is hidden in the area behind the fuel tank for great performance and a custom, airy look. Custom exhaust inspired, “down-swept” design, two-into-oneinto-two exhaust with Exhaust Ultimate Power valve (EXUP®)inside boosts torque in the 2500-3500-rpm range. All-aluminum cast frame is light, rigid and tuned for light, athletic handling. A light, Controlled-Fill, aluminum swingarm casting complements the bike's lithe style. A 6-degree yoke angle—the first ever on a street-legal Star Motorcycle—makes it possible to achieve that custom look as well as natural handling and straight-line cruisability: 34-degree rake plus 6 degrees yoke angle gives total rake of 40 degrees and 102mm of trail, while bringing the fork closer to the steering axis. 46mm fork tubes serve up an excellent ride and a sweet appearance through 5.1 inches of wheel travel. 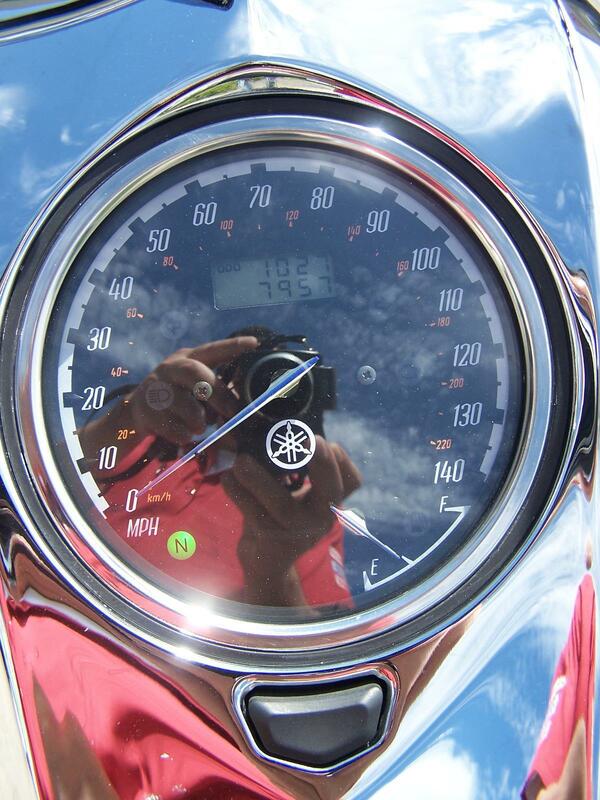 New flangeless fuel tank carries a full 4.1 gallons of fuel. Wiring harness uses lightweight AVSS wires, and switchgear wiring is routed inside the handlebar for a clean appearance.